Known as the Sunshine State’, Florida enjoys beautiful climatic conditions that are bespoke of the tropical setting. Warm, humid summers give way to relatively mild winters, with two distinct wet spells, Florida experiences adequate rainfall to support the luxuriant flourishing of divergent flora and fauna. Like many coastal cities across the globe, Florida is renowned for its world-class palm vegetation and landscapes. These unique trees, available from aqualityplant.com, are associated with a relaxed lifestyle that is typically associated with a day spent soaking in the sun on white sunny beaches. Away from the sunny beaches, palm trees are a great treasure for property owners. At aqualityplant.com, the wholesale palm trees Tampa, Florida area service, we find that only do they create a serene and relaxing atmosphere in your property, but they also improve the quality of life. On hot summer days when the temperatures are high, sipping a cold glass of tropical juice under the waving fronds of a palm tree, while catching up on your reading is a great way to while away your evenings. The unassuming palm trees, be they in your front or backyard, create a rustic, peaceful oasis in the compound that increases your property value. Across the state, realtors we have consulted, agree that property that features excellent landscaping not only sells quicker, but are also more valuable. The today’s property value extends beyond walls, and clients are gravitating towards properties with beautifully landscaped gardens and in Florida, a garden devoid of palm trees is not considered complete. After all, the Sabal palm tree is the official palm tree for the state of Florida, and we are the wholesale palm trees Tampa, Florida area residents need. To their credit, palm trees are available in various types, shapes, and sizes. They are classified into different types depending on their trunk sizes, leaf structure, size, growth rates as well as cold tolerance. The most fundamental of classifications groups them into two categories; small palms that grow to about 20 feet in height and large palms that can grow up to 80 feet. I would recommend that you to take into account the yard size being spruced up with palm trees before making a purchase. Various palm trees have varying space requirement and planting a bulky species in a space limited compound can be a disappointing affair. At aqualityplant.com, we offer a wide selection of palm trees, and we shall advise you on the proper trees that will complement your planting spaces. Among the most common palm trees in Florida include the Sabal palm, the Queen Palm, Canary Island date palm as well as the Washingtonian Palms. 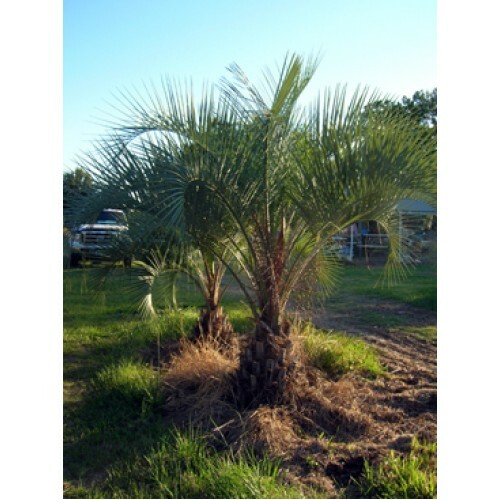 We at aqualityplant.com, however, stock a greater variety of high-quality palm trees, for we are the best wholesale palm trees Tampa, Florida residents have. Our qualified staff members are available to help with all matters palm trees, their agronomic requirements, their proper care, their geographical suitability as well as any other information you many require to spruce up your property. Though the prices vary among the palm tree species, we endeavor to help all our clients acquire these unequaled landscaping gems at highly affordable, pocket-friendly prices starting from $75. Don’t let the beautiful weather just fly by; buy from the only wholesale palm trees Tampa, Florida area providers.